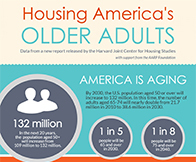 So reveals a report by Harvard and AARP. Read about the findings and recommended solutions — and use the interactive map to see how the 50-plus population in your county is on the rise. 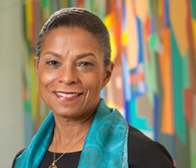 5 Questions for ... Risa Lavizzo-Mourey, M.D. The president and CEO of the Robert Wood Johnson Foundation explains why a "Culture of Health" is fundamental to creating great places for people of all ages. If you haven't yet seen it, check out Streetfilm.org's time-traveling video documenting the metamorphosis of several New York City streets. Then learn how to instill livability into all sorts of places by checking out our new fact sheet series. 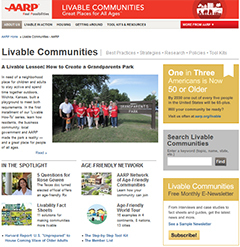 Use our subject-based collections housing links to reports, action plans, studies, articles, how-to's, slideshows and more about livable topics and the 50-plus.